“Phoenix Rising”, the new video from Finnish dark melodic death metal icons BEFORE THE DAWN, can be seen below. 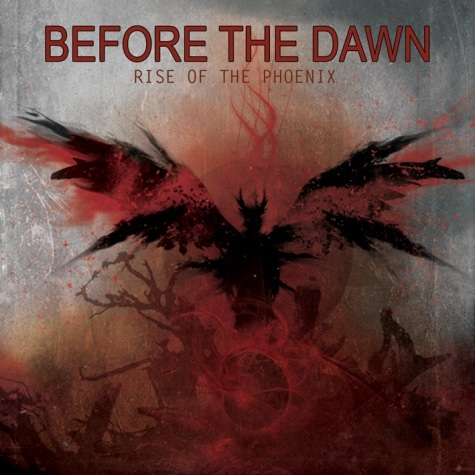 The song comes off the band’s new album, “Rise Of The Phoenix”, which will be released on April 27 via Nuclear Blast Records. After the departure of Lars Eikin (bass/clean vocals) and Atte Palokangas (drums), Finland’s BEFORE THE DAWN experienced a rebirth of sorts. What could formerly be described as dark metal started to flow much more into melodic death metal waters. Armed with new members Pyry Hanski (bass) and Joonas Kauppinen (drums), BEFORE THE DAWN will surprise you with a totally new, incredibly thrilling listening experience on their seventh studio album.